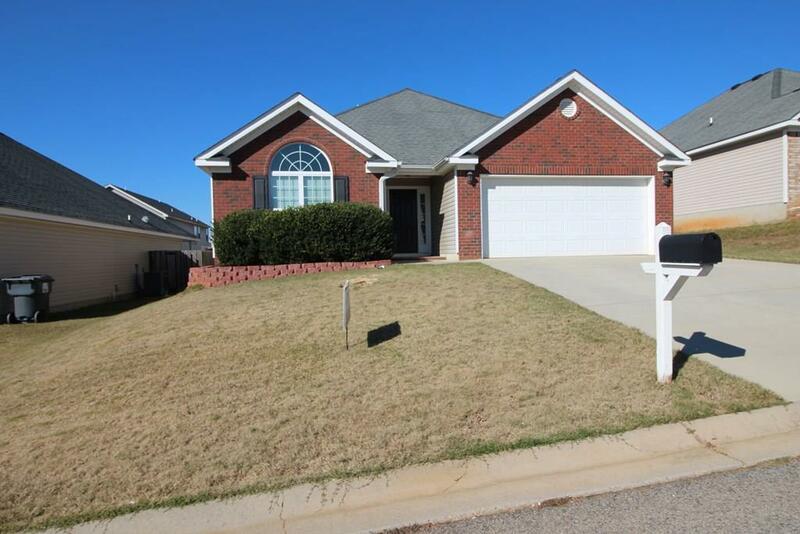 Nice Brick Front Ranch w/ 3 Bedrooms 2 Full Baths. Owners Bath dual vanities, Jetted Jacuzzi Tub, separate Shower w/ glass door. Huge Closet. Open Kitchen to Family Room and Dining room. Additional 2 Bedroom located away from the Owners. Ceiling Fans in all Bedrooms, Vaulted Ceilings, Blinds, All appliances including washer and dryer included. 2 car spacious garage w/ opener. Directions: Off I-20w exit 190, Left to Wrightsboro Right to Pamir Place on the left. Take second entrance into the community, home is straight ahead. 551 Lory Lane.